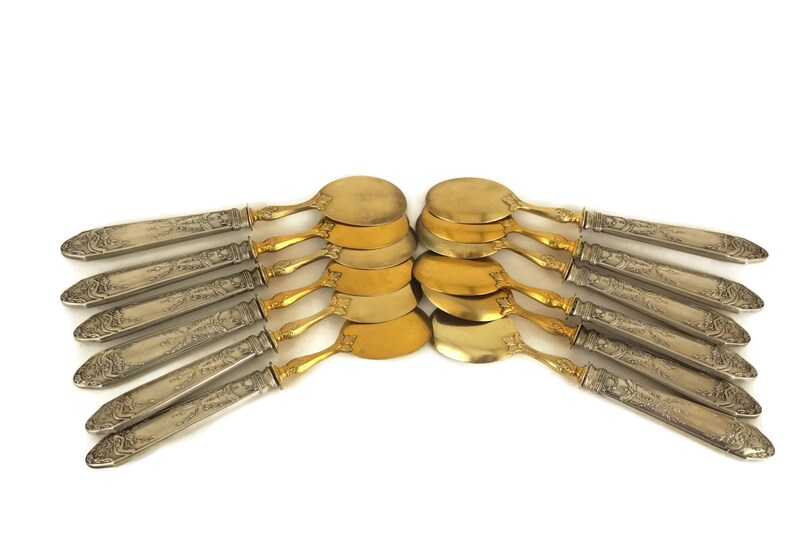 An exquisite antique set of French silver dessert spoons dating from the 19th Century. 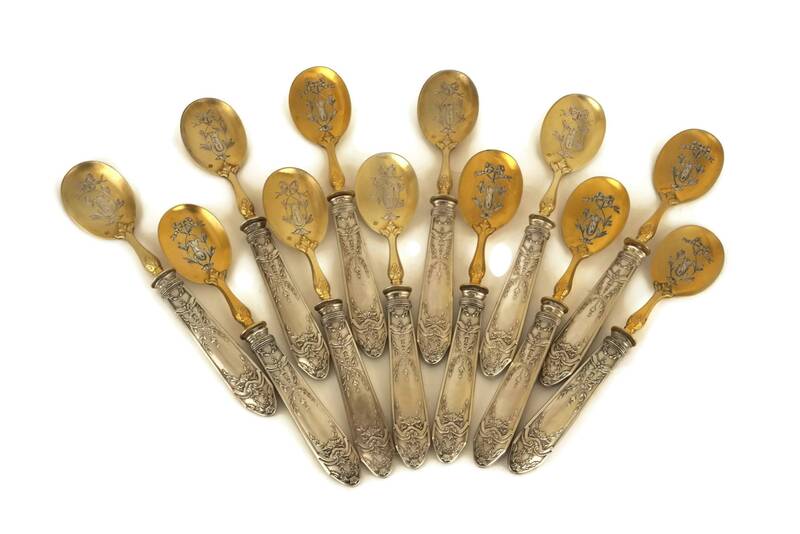 The boxed set of 12 spoons feature an ornate Louis XVI inspired deign with classic ribbon, bow and flower patterns. 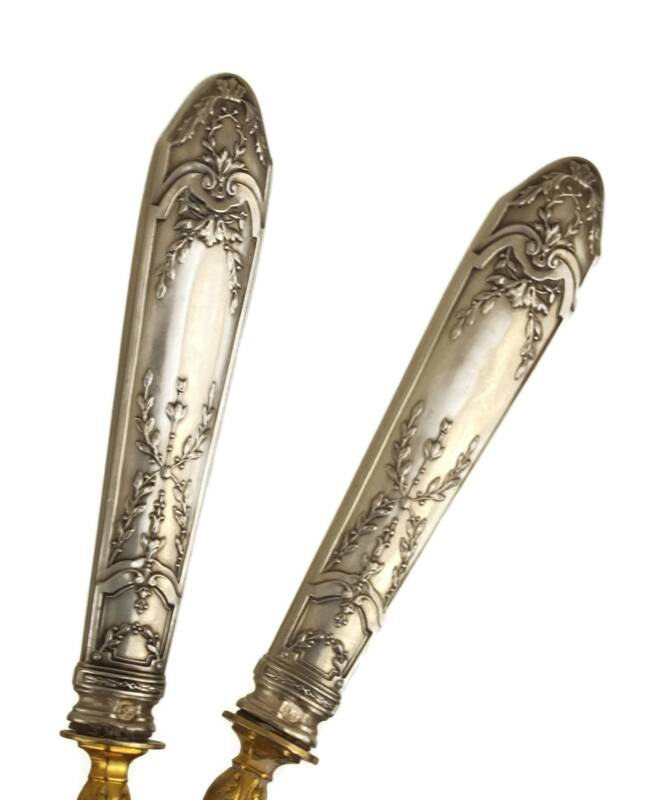 The handle of each spoon has been stamped with the French Minerva silver hallmark and features a magnificent decoration. 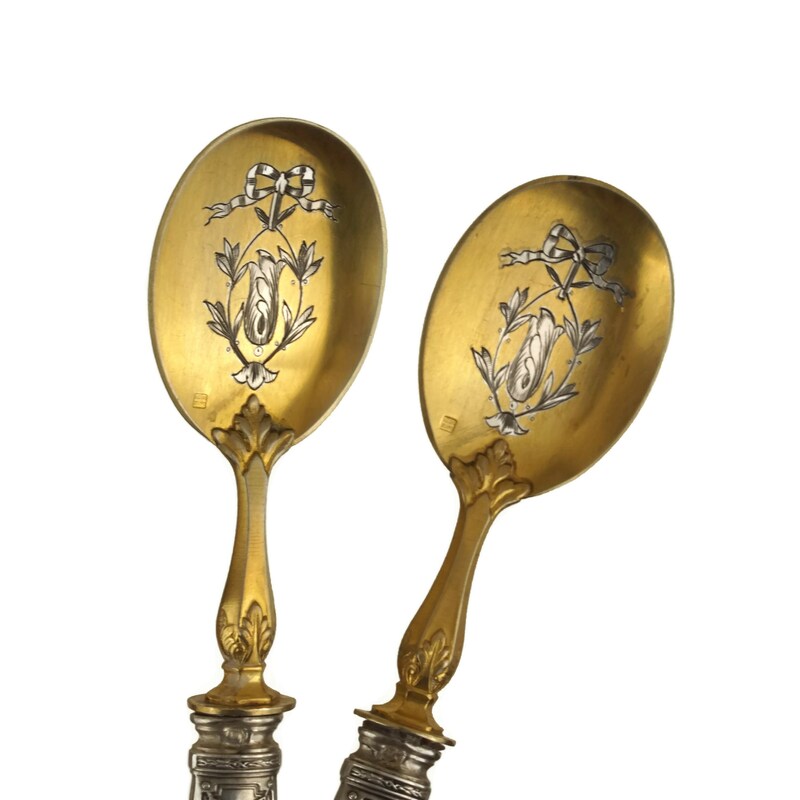 The bowls of the spoons are flat with a slight rim on one side. 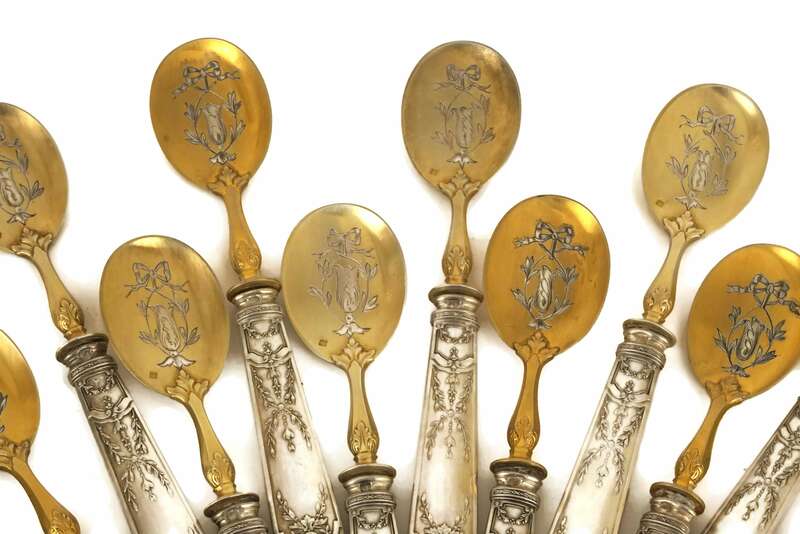 They have been plated in gilt vermeil and feature decorative engravings in the center. 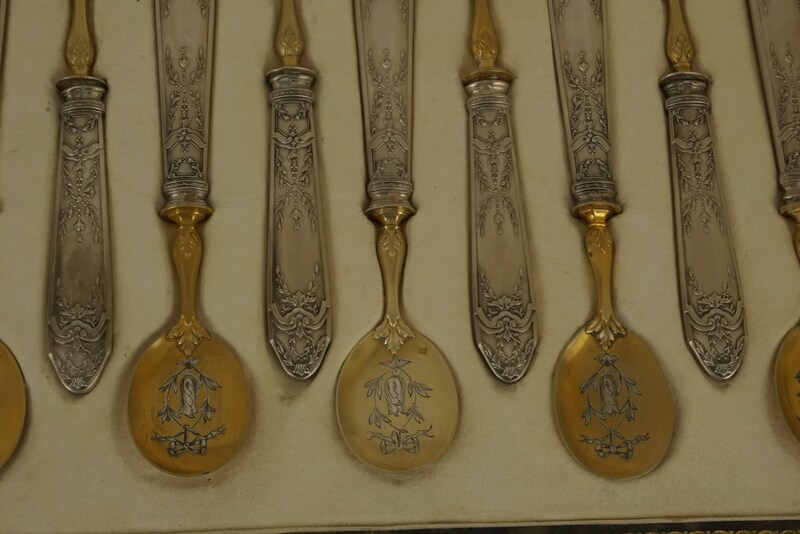 Each bowl has been stamped "Metal blanc" to indicate the bowls are metal plated in gilt. 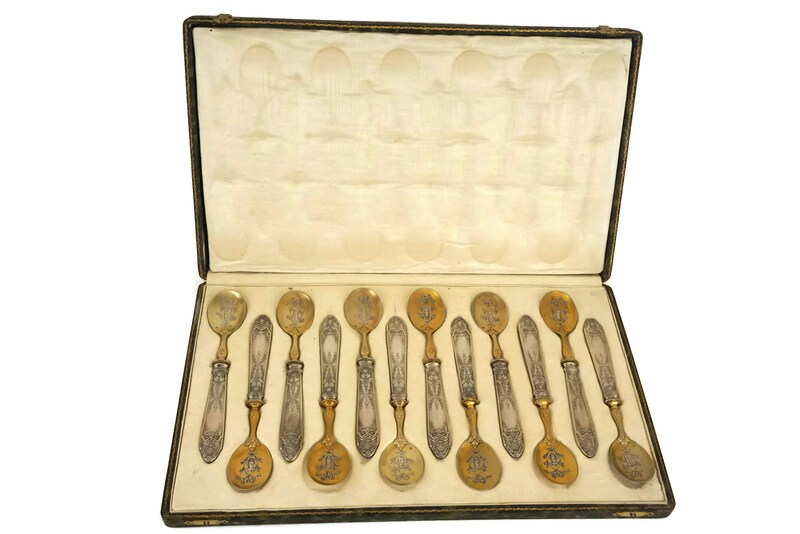 The set of 12 dessert spoons come presented in their original chamois leather lined box. 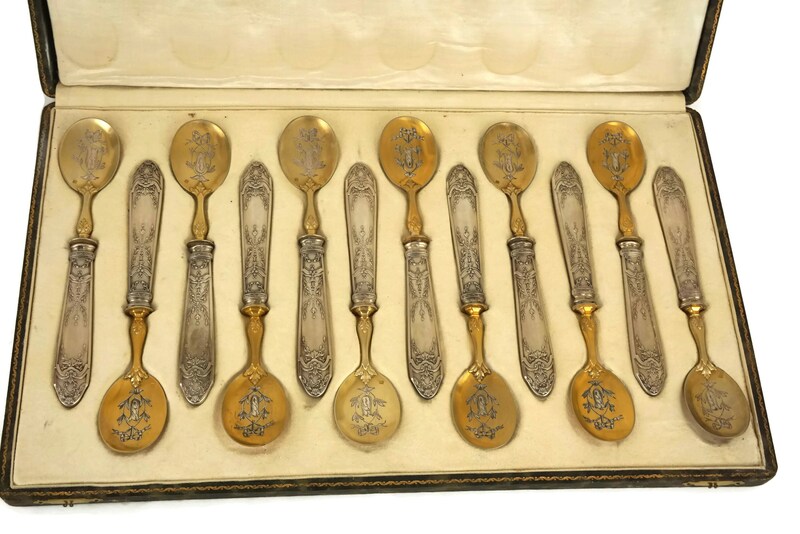 The set is in very good antique condition with some signs of age and wear including minor surface marks and scratches. The gilt plating has rubbed away in places. 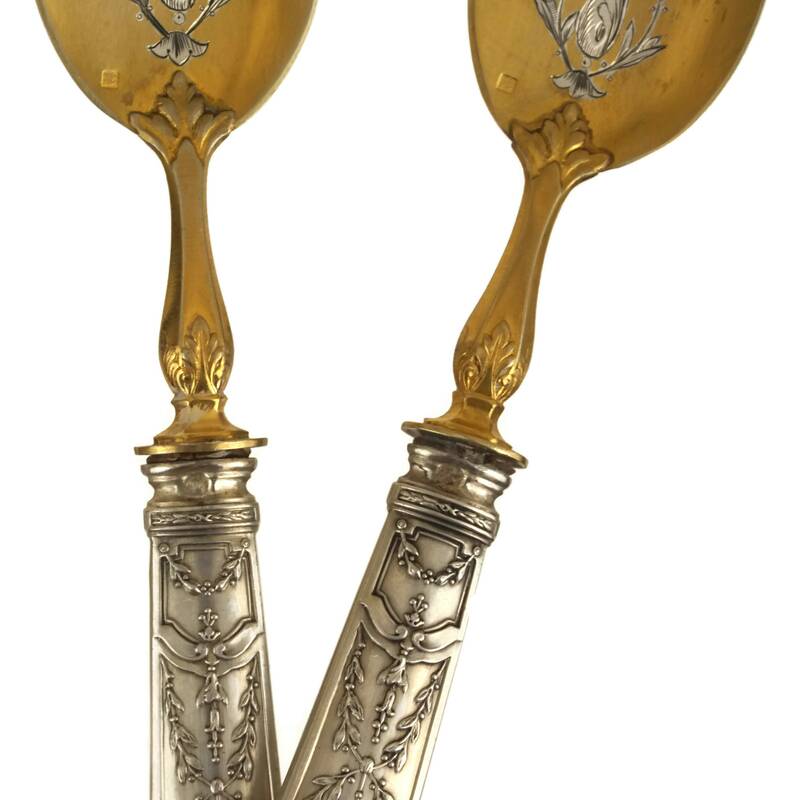 The joints between the handle and and stems of the spoons are slightly worn on some of the spoons.